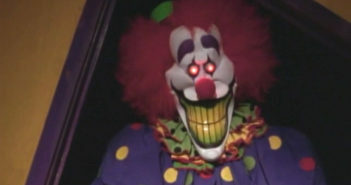 You are at:Home»Television»Horror»Category: "Are You Afraid of the Dark?" Browsing: Are You Afraid of the Dark? Such is this case with Nickelodeon’s Are You Afraid of the Dark?, a children’s TV series from the 90s about a group of kids from different walks of life telling ghost stories around a campfire every week. It aired on the 9:30pm slot of SNICK, Nickelodeon’s Saturday night TV block for adolescents. This led to many of us moving on to Gilbert Gottfried’s USA Up All Night and Joe Bob Brigg’s MonsterVision to get our more adult horror fixes until we got licenses and forgot that we even had TVs on the weekends. 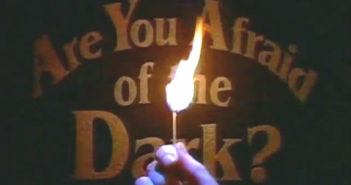 Now, We begin out episodic recap of Are You Afraid of the Dark? Time to revisit the childhood of horror fanatics with a recap of Season 1, Episode 4 of Are You Afraid of the Dark? Time to revisit the childhood of horror fanatics with a recap of Season 1, Episode 3 of Are You Afraid of the Dark? Time to revisit the childhood of horror fanatics with a recap of Season 1, Episode 1 of Are You Afraid of the Dark? Time to revisit the childhood of horror fanatics with a recap of Season 1, Episode 2 of Are You Afraid of the Dark?